I am very pleased with these tires. I have driven highway everyday going to farm, rough roads, all kinds of weather and have not had any problems whatsoever with these tires. As a matter of fact I am just looking now to replace them and my truck has on the odometer right now 185,983 km and still going strong. These are the originals when I purchased the truck back in august/2011. I would definitely recommend these tires on your pickup truck. These tires came new on the truck. They were fine the first 10000 miles but after that the worst tire I ever bought. they have 19000 on them now and no tread left on them. I am very disappointed in the tires. They are the first set of Firestone tires that I have owned and will never buy Firestone tires again. Again very disappointing. This is my first set of P275/70/R18 Transforce. They currently have 82,000 miles and look and drive great! I think I'll put another 4-5,000 miles on them before winter. I would buy them again and refer them to others. The raised white lettering still looks brand new. I have regularly rotated them every 5,000 miles and inflation has always been maintained. This set of tires has performed very well for me. They handle well with no load and the same when pulling my RV. Very satisfied. These are some of the worst tires I have ever owned. I have less than 19,000 miles on my truck and they are shot. I would expect this out of a soft compound mud tire, but not one with this tread pattern. You can get stuck in wet grass with these. I don't recommend, nor would I ever buy these again. Very satisfied with the performance of these tires. Performed very well especially when new. These tires were great new. But, when the tread was half worn down or less, hydroplaning was a serious concern. Also, it was hard to stop without skidding when breaking for animals. 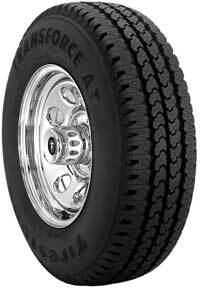 I always maintained proper tire pressure and had them rotated routinely. I will not be buying these tires ever again... ever... ever! Disappointed when they didn't hold up to as many miles as they were designed for. I am really pleased. They're not noisy on the road and have lots of traction in 2 wheel drive. I plow snow and don't have to use 4 wheel drive unless the weather is bad. Great tire for the money. I had Hankook tires before, just didn't last very long. There tires were a very good buy.